Take a private excursion from the San Francisco Bay Area to Sonoma or Napa Valley wineries via a Cadillac Escalade limo SUV. 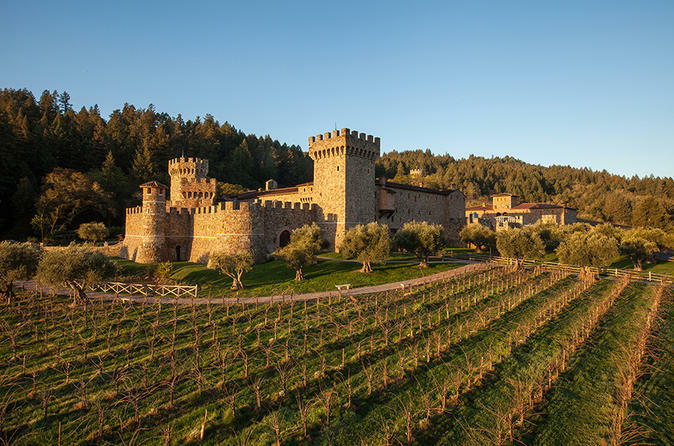 Customize your tour to stop at well-known winemakers or off-the-beaten-path boutique wineries (wine-tasting fees excluded). Price is per group, based on a maximum of six people. After hotel pickup from any San Francisco Bay Area location, get comfortable in your Cadillac Escalade limousine, a fully loaded luxury SUV. Pour yourself a welcome glass of Champagne and settle in for the 1- to 2-hour drive to Sonoma Valley or Napa Valley for a day of wine tasting. You can decide your itinerary upon booking your tour, or have the flexibility to customize it with your private party and tour operator on the day, including where to go for lunch and which wineries will best compliment your criteria. On arrival at your wine country destination, your personal chauffeur stops at as many wineries as your time allows. At the conclusion of your full day of wine tasting, relax on the ride back to your starting point.